Brake manufacturer Brembo has become the latest auto industry player to be linked with taking a stake when Pininfarina recapitalises with the aim of easing mounting debts and to fund the development of future projects. 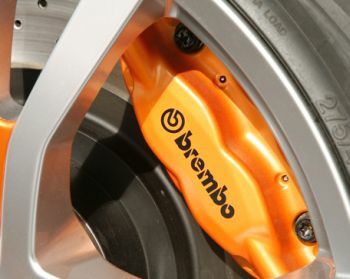 Italian high performance brake manufacturer Brembo has become the latest major auto industry player to be linked with taking a financial stake when Pininfarina recapitalises the company with the aim of easing mounting debts and to fund the development of future projects. Pininfarina is seeking to raise around 100 millions euros of new investment within the next two months as it bids to get itself back on track. The Brembo Chairman Alberto Bombassei revealed that he has recently held talks with Pininfarina over the possibility of being involved in the recapitalisation, further details of which are expected to be announced by the firm during a shareholders’ meeting set to be held this morning. However he didn’t discuss whether Brembo had decided to participate in the industrial plan which will see the Pininfarina family’s current controlling 55 percent stake in the Turin-based design and engineering firm expected to be whittled down to around 30 percent, which would still leave them as the dominant shareholder. “For the moment I can’t say anything,” Bombassei told reporters yesterday on the sidelines of an event in Milan. Brembo is the second high profile automotive name to be linked to taking a possible stake in Pininfarina in the last days. The firm has become financially over extended in the past two years after taking on a string of contract assembly work, turning out niche cars such as the Alfa Romeo Brera and Ford Focus Coupé–Cabriolet. Pininfarina also needs funds to invest in several big future projects, including a new self-branded electric car it intends to build in conjunction with French industrial conglomerate, through collaboration with its battery manufacturing division, Bolloré Group. India’s Tata Motors, a joint venture partner of the Fiat Group in a wide range of industrial and manufacturing areas as well as the recent buyer of the British Jaguar and Land Rover brands, was revealed at the end of last week to have expressed an interest in participating in the recapitalisation. Tata Motors is already set to take a minority stake in Pininfarina’s planned new studio in India which will open before the end of the year and it will pass design work onto the Italian firm. Bolloré Group is also reportedly ready to increase its financial involvement with Pininfarina, which also designs cars for sportscar brands’ Ferrari and Maserati, and a growing Chinese client base.